If you have funds on deposit here, you may make payments to your RCU loans online by signing on to Online Banking. See the online payment options below. There are several options to make loan payments within Online Banking such as under the Account Summary and under Transfers & Payments. 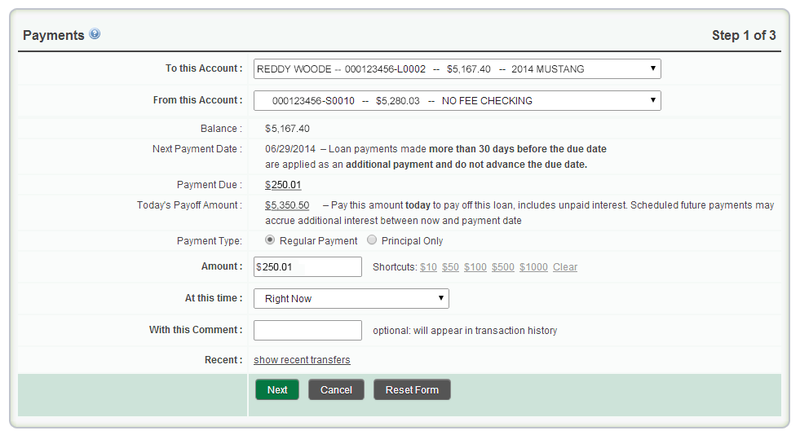 You may click on the "Make Payment" link under the loan name on the Account Summary screen. 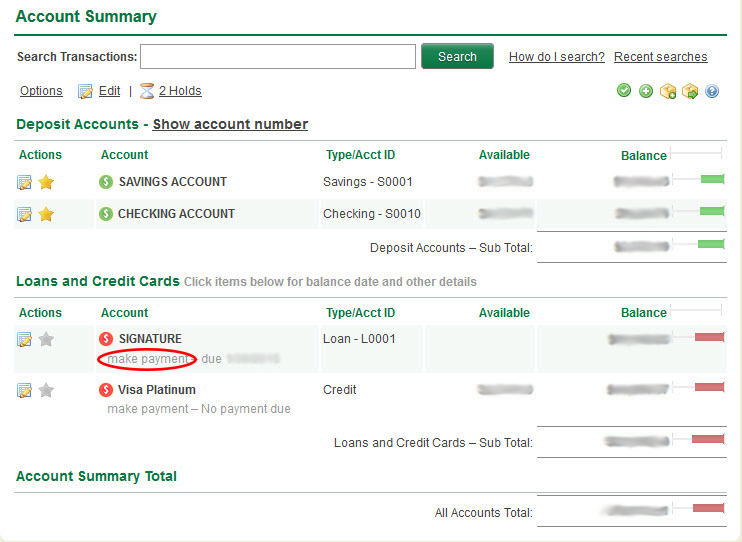 What account number should I use to initiate a direct deposit or electronic debit to my money market account?